Maddie and Holden have a difficult relationship: they are step brother and sister, and Holden keeps on ruining the fairy tales Maddie loves so much. 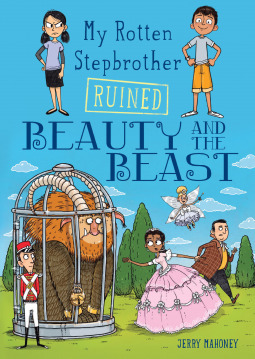 This time is The Beauty and the Beast: Maddie and Holden find themselves in the story, and it already is a disaster; the beast is in jail, and Maddie, in the body of the beauty, is wondering about Stockholm syndrome… how to fix the fairy tale? This children novel is nice and funny, it is a part of a series, Holden has in fact the tendency to ruin every fairy tale he deals with! Wrote by Kate Forsyth I read The Wild Girl, that I still remember despite the time passed from the reading time and that I absolutely suggest as a beautiful and hard read. 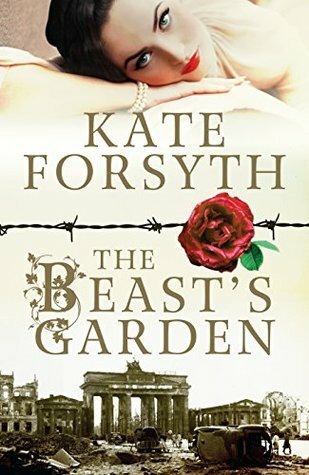 Considering these premises I had great expectations for The Beast’s Garden, retelling of The Springing Lark set in a nazism setting. Ava is from German origins, one of her sisters work as a secretary in the SS offices, but overall her family is against Hitler’s doing. Family friends are the Feidlers, of hebrew origin; Rupert in particular is a friend of Ava, sharing her love for music. During a night of raids Ava is able to help her friends thanks to the intervention of Leo von Löwenstein, a German officer met by chance and fascinated by Ava’s beauty and character. This way it begins the relation between Ava and Leo, and soon it becomes a marriage. The times are hard and Ada finds hard to trust completely her husband, him belonging to the army. In the meanwhile Ada starts to help Jutta, Rupert’s sister, in her undercover operation to help the last Jew in Berlin. The novel is overall nice and the narrative style very pleasing, but I think that the plot is quite weak: in general it’s hard for non-European authors to deal with the theme of nazism and the implications related to WWII, in this case some events are plot driven and they have a few meaning in the overall story (e.g. when Ava meets Leo’s mother and grandfather). On the other hand the main character often behave quite silly, in particular taking into account the historical setting: Ada is bold, she does not reflects on her words and this despite being part of undercover operations. The choice of the author to retell the story of The Springing Lark is quite interesting because the fairy tale is less known than others, but the output is not convincing, and the main problems are related to the love story between Ava and Leo that begins as love at first sight. It’s possible that my tepid comment is function of the high expectation I had, but the author got me used to better stories. 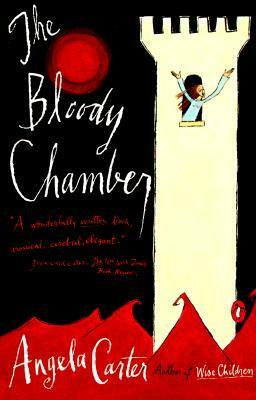 “The bloody chamber” is one of the stories by Angela Carter contained in this collection. The stories are inspired by fairy tales and myths, some of them in fact can also be defined as retelling. My intention was not to do ‘versions’ or, as the American edition of the book said, horribly, ‘adult’ fairy tales, but to extract the latent content from the traditional stories. In every story the latent symbolism of the classic fairy tales is exasperated: these version by Angela Carter allow the reader to think about different topics and it’s very hard to let them slip out your mind; they are captivating, wonderfully written and full of idea to analyze both the original fairy tales themes, both the symbols introduced by the writer herself. 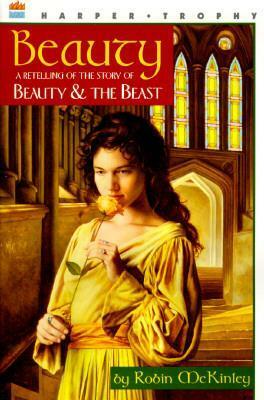 The tales have original traits even if they take origin from existing narrative structures: for example the story of Beauty and the Beast is adapted in two completely different versions. The stories have in common strong-willed women characters, well aware of their sexuality – or becoming so during the story – who face with courage their problems. This collection was a wonderful discovery that I absolutely suggest to read. This is another retelling of The Beauty and the Beast, here, more than in Cruel Beauty or in the awful Beastly, I recalled the Disney version of the story, having Beauty a setting in an undefined time where nobles and carriages were common, the magic castle in the forest and cups, plates and candelabra moving without human intervention. Beauty is the third of three sisters – Hope and Grace – and her true name is Honour, while her nickname was given when she was a child even if growing up her two sisters became more beautiful than her who found her interest in reading. The meeting with the Beast follows the classical script: her father finds the castle and its owner and promises him one of his three daughters for his help; from then on we can switch to the Disney imaginary without being particularly wrong – or sorry. All considered I have to say that this is one of the most boring retelling of this story, also because it does not provide plot or settings variations, or something new in the relation between the two characters (in this sense Cruel Beauty is way better). The story of the Beauty and the Beast usually works perfectly well, but here I did not find it particularly engaging, in part for the main character, so flat in her emotions and in the way she communicates them: Beauty face everything stoically as a good girl who sacrifice herself for her sisters and her father; her counter part is a kind Beast who is always kind, hence the instant friendship. Honestly I do not suggest to read it for there are other more particular or engaging. 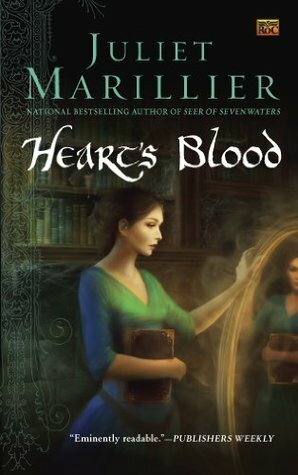 In a previous post I already wrote about retellings, so novels that uses the main plot of other stories changing some elements in order to create something new. In that same post I commented about a retelling of “Beauty and the Beast”, a clearly awful one – from which an awful movie was inspired. Also this post is about a retelling of that same story, but in this case the outcome is quite different (even if the Stockholm syndrome affects the protagonist maybe too soon). Retellings are stories based on already written books / fairy tales where some elements are changed (the context, the plot development); it’s easy to find retelling of fairy tales (the most common are worldwide known). However this Frankenstein process sometimes fails: some retellings appears to be cheesy and plain, like the link to the original story is enough to satisfy the reader.